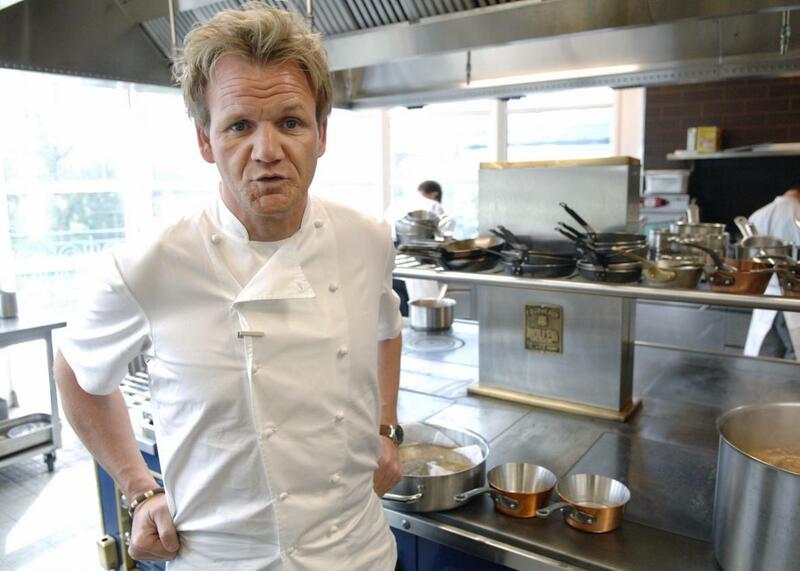 Gordon Ramsay: Is the businessman and TV personality also a great chef? Is Gordon Ramsay a Great Chef? Gordon Ramsay poses at the Trianon palace restaurant on March 20, 2008, in Versailles, near Paris. Up front, I believe that he’s one of the few genuinely nice, warm, and approachable people in his levels of the industry today. Kitchen lore is full of stories of Gordon Ramsay rescuing someone, quietly helping, or being there when needed. He’s also a pretty damn good cook, having learned in the Roux kitchens. Everything he does telegraphs the Roux style, which I personally find refreshing and very cool. It’s the opposite of the Bocuse approach to cooking, which I (again, personally) dislike. Lastly, he’s a great businessman. He does the right things to attract the right talent and create and expand his business empire the right way. He let his father-in-law do his thing, a man who more than anyone else in the Ramsay world is responsible for its success. Of course his feuds with his executive chefs and his father-in-law—Ramsay is a hothead. Is he a great chef, though? And there I’d have to say, no, he isn’t. What makes a chef great is the ability to keep kitchens running smoothly, to overcome day-to-day obstacles. Ramsay started to shine, as a cook and restaurateur, once he was off the expo window, away from the day-to-day work in a kitchen, and was allowed to hire the right people to run an empire for him. He’s a great general but a pretty bad squad leader, if you want to look at it from a military perspective. At the Rossmore (later Aubergine), he had long since left the kitchen before the first Michelin star came in, and after his first falling out there, he opened RGR with his father-in-law, where he too did not work the day-to-day. All things considered, this was a very smart move. By letting Simone Zanoni and later Clare Smyth take the head chef role (Clare was the first female chef to have and hold three Michelin stars in the U.K.), Ramsay concentrated on what he is best at: being a presenter, a showman, a cook, and a business cheerleader. He let people like Marcus Wareing or Smyth cook, design menus, and run the kitchen. Ramsay can be credited with a lot. He mentored Angela Hartnett and Smyth when few chefs would take on female protégées. He financed restaurants that went on to become household names. He gave chefs a chance who had been rejected elsewhere and gave them another, even rarer, chance when using his reputation to send them off to work with the world’s best restaurateurs and chefs in Paris, Lyon, Zurich, or Munich. He’s a pretty cool dude, a great cook, and a real mensch. But as a chef, no, he’s not that great. Restaurants: What dishes do chefs wish their customers would order more often? Food: What should I do if I eat at a restaurant and then realize I forgot my wallet? Restaurant business: How do restaurants use psychology to manipulate our spending and eating habits?